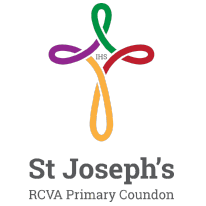 At St Joseph’s RCVA Primary, our notional SEN budget amounts to £58,261.80. This budget supports children with SEND through providing extra staffing, resources and training. Each school in Durham receives its budget in April and as part of this there is a notional SEND amount. This means that schools have a responsibility to fund the first £6000 of support for a child with SEND. If further support is needed school can request “top up funding” from the local authority. This is usually for children with very high needs or who have an EHCP. Schools work out provision for a child and map these costs in a Costed Provision Map. An example of a costed provision map can be found here. School’s budget for SEND is used primarily to maintain additional staffing. The school are fortunate enough to be able to employ 4 teaching assistants and 1 apprentice. These adults focus on children with SEND and support our most vulnerable children/ families. Staff in school have areas of expertise including ASD support, speech and language support and Lego therapy. Staff evaluate each case individually and plan suitable support. Usually this support takes place in the classroom, however at times children are withdrawn into small groups/ 1-1 to allow more specific intervention. Further to this, the school have invested in programmes aimed at children with SEND e.g. Frostig, socially speaking, talk boost. As a school, we have made key investment in up to date software and programmes to support all children especially children with SEND.